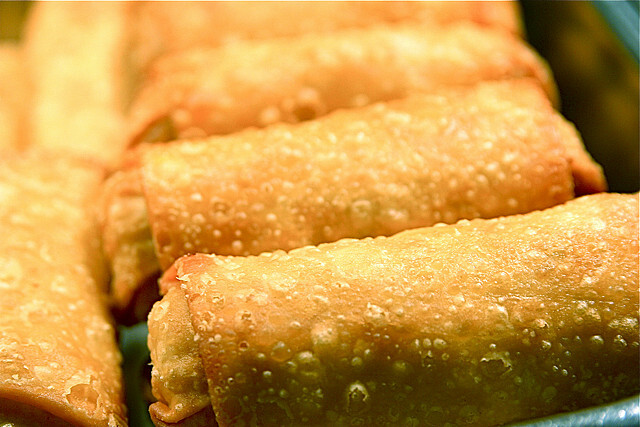 Egg rolls are one of the favorite to cook at home, order in restaurant, and serve on social gatherings. There is something different in its look that makes you not to miss to taste it. I’m very sure you’d be easily tempted to grab one and take a bite once you see some egg rolls on a table. The interesting fact about egg rolls is that you can select any ingredients. This is how it makes it very flexible and appropriate to any kinds of occasions. Although you have the freedom to choose any ingredients, it is a must to stay healthy even with just a few rolls! You must still be selective with the ingredients. In other words, have more vegetables for your egg rolls. Do not just make delicious and good looking rolls but healthy ones, too! 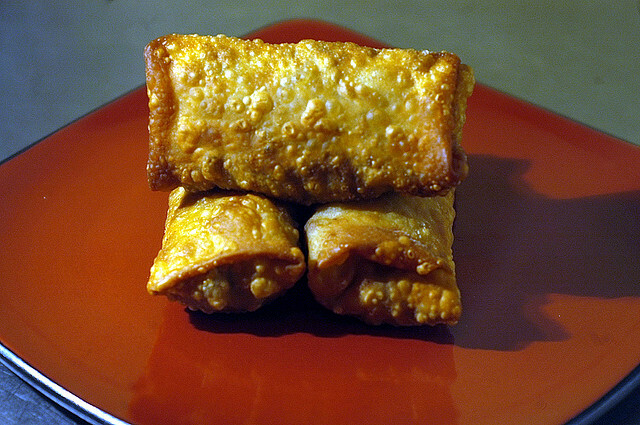 Here are some three samples of egg roll recipes that you can try in just quick minutes. 1. Rub the chicken with vegetable oil. Pour a little amount of the same oil in a saucepan and cook each side of the chicken until it is thoroughly cooked. 2. Using the same or a separate saucepan, stir green onion and red pepper. Mix them well until they become tender. Afterwards, combine them with the fried chicken. 3. Add jalapeno peppers, black beans, corn, spinach, parsley, cumin, chili powder, cayenne pepper and salt to the chicken. Stir until every ingredient is tender. 4. Set aside and add some Monterey Jack cheese to melt. 5. Wrap tortillas with clean and lightly moist cloth. Put in the microwave oven for a minute. Then, fill each tortilla with the chicken mixture. 6. The finished tortillas must be placed over a dish and covered with plastic as you cool them in the fridge for at least 4 hours. 7. After freezing, deep fry the tortillas in a frying pan. Cook until each tortilla is golden down before serving. 1. Rinse and drain vegetables before chopping. Place each in a bowl and set aside. 2. Chop the chicken breasts into cubes. In a fry pan, pour 2 tablespoons of vegetable oil and add garlic then chopped chicken. Stir until the meat is golden brown. 3. After 3 minutes, add spinach, bean sprouts, green onions and bamboo shoots. Stir again for another 3 to 4 minutes. 4. In a separate bowl, mix cornstarch and soy sauce together. Add ginger, salt and sugar. Stir all the ingredients until it becomes slightly fluffy. 5. Blend in the sauce mixture with the chicken mixture. Stir constantly to prevent it from sticking. Set aside and cool. 6. After the chicken filling is cooled down, fill in the egg roll skins or tortillas one by one. make sure to roll it properly. 7. In another frying or saucepan, pour some vegetable oil. Deep fry each egg roll and cook until they are brown. Place in a tray or plate, and serve. 1. Prepare saucepan or frying pan. Preheat it and pour vegetable oil. Sauté garlic until lightly brown, then onion. 2. Add beef or pork that is finely chopped into small pieces. Season it with pepper, fish sauce, and salt. 3. Add potatoes, carrots, cabbage, and pod peas. Mix them all and stir until every ingredient is tender. Drain and place in a bowl. Let it cool. 4. Prepare the wrappers and fill it with the meat and vegetable mixture. Deep fry each roll until all are cooked. These three recipes of egg rolls are merely the same. You only have to differ the vegetable ingredients as well as the meat. However, you may add more vegetables that you think can blend with those vegetables mixture. The more vegetables you use and fill in the wrappers, the healthier the dish is. 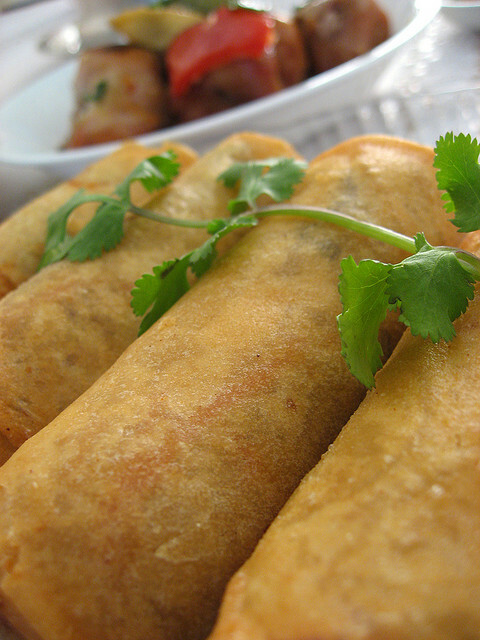 It is easy and quick to prepare, so there is no hassle cooking egg rolls no matter what the event is. Click here for more updates.